Want to know about Indian Army, navy and Air Force promoteional stalls at Indian International Trade Fair? 33rd Indian International Trade Fair IITF was organised in Delhi by ITPO. Check out Indian defence forces participation and promotional events. 33rd Indian International Trade Fare (IITF) was organised by India Trade Promotion Organisation (ITPO) from 14th to 27th November 2013 in Delhi. Event is a hit as millions of people from India as well as foreign countries are visiting the trade fair daily. Indian defence forces also participated in 33rd IITF. Indian Ordnance Factory was the key player in defence organisations. 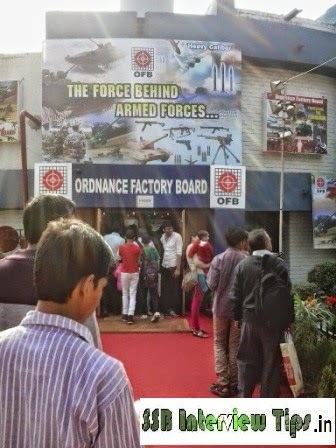 Ordnance factory had booked a hall and had beautifully placed miniature size missiles, bombs and all other defence weapons that are made by the Indian Ordnance Factory. 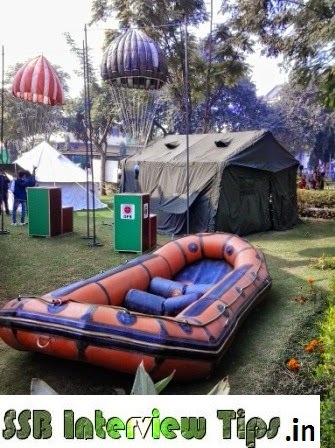 Also various displays were there with details about the material and quality of tents manufactured in the factories. Indian Army's dog show was a tremendous hit in 33rd IITF. Thousands of visitors gather together to witness the show presented by Dog squad of Army. There were total four days in a day that were organised by the elite team. Here the command of dog trainers over their dogs was clearly visible as the dogs were doing exactly as instructed by their trainers. Also dogs were trained in performing military parade apart from their primary duty to nab the terrorists and anti-social elements. Dogs showed an exemplary self discipline while performing the feats. Dogs amazed all the visitors by doing Attention and Stand-at-ease with their trainers. Visitors were taken aback by the superb actions and feats performed by the Army's dog squad. A dog walking on the rope was the most amazing event and also leaping in a circle with fire around it was very amusing. So people who witnessed the dog show at 33rd IITF definitely will remeber them for their rest of lives. 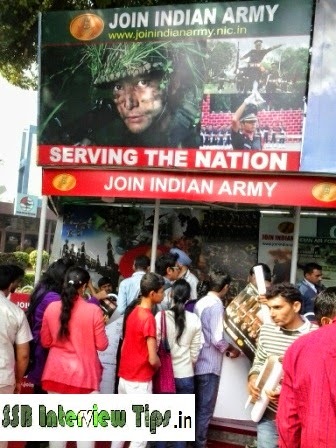 Indian Army had placed a stall opposite to Indian Ordnance Factory. On 23rd November 2013 when we visited the Army stall, there were two persons in civil dress and were busy distributing 2014-15 calenders specially designed for candidates who want to join Army as officers. On the calendar, upcmong Army notifications were listed out neatly and eligibility criteria to become officers in Army was provided. Only the missing factor was presence of Army officers and personnel. 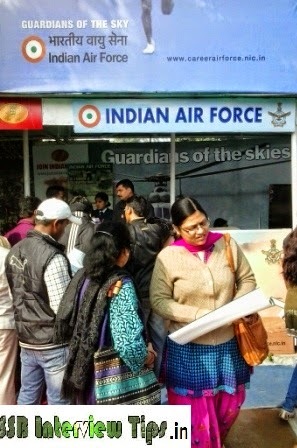 Indian Air Force stall was placed next to the Army's stall. When we visited the stall, a lady officer was present and two or three odd airmen were there in uniform. 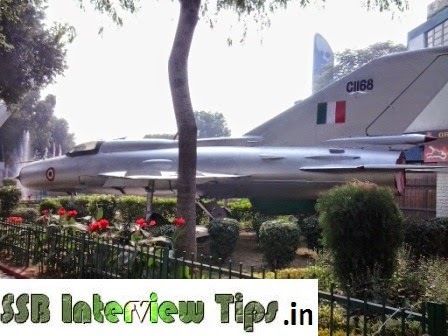 Though the Air Force personnel were not distributing the calendars like Army but were distributing beautiful pamphlets on which officer entries and eligibility criteria was laid down. 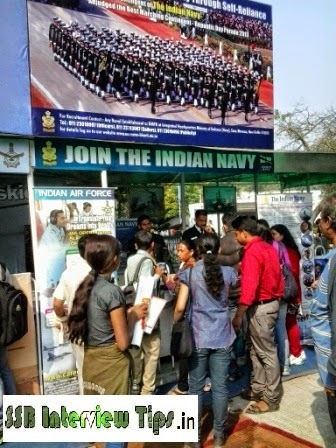 Indian Navy stall was there beside the Air Force stall with two sailors present. No officer was present. Also stall was almost empty as there were no pamphlets or any promotional media. When we inquired about the availablity of promotional media, they simply said visit Navy's official website and check the eligibility -the least expected response. There were stickers for small kids but they were too old as they were dirty. Overall, Army, Navy and Air Force stalls disappointed us as many kids and youth were eager to know more about the services and career. But we noticed that there was not much positive reply from the representatives. It seemed as if they were just performing their duty and not at all interested in motivating the candidates who were interested in joining the Indian Armed Forces. Hope Army, Air Force and Navy could send their representatives who are more positive and more convincing.